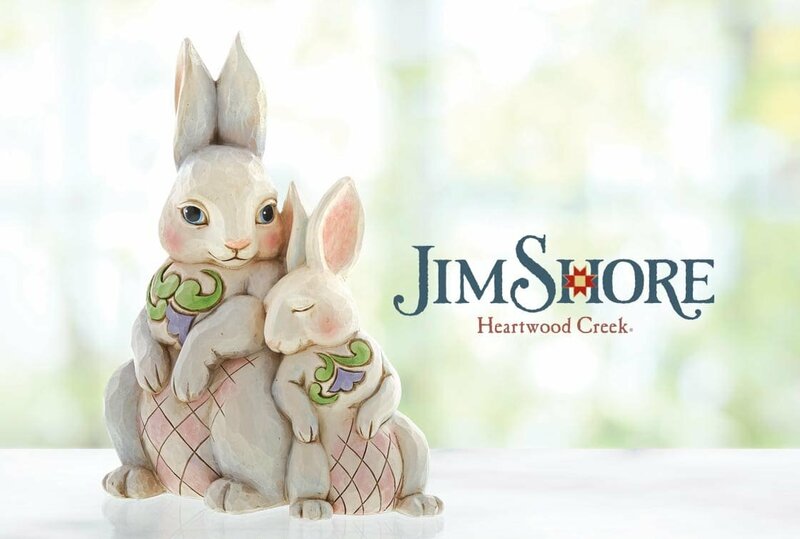 The Jim Shore Heartwood Creek® collection celebrates over fifteen years of a wonderful partnership between award-winning artist Jim Shore and Enesco. Loved worldwide, the collection showcases Jim’s inimitable hand-carved style, which blends the traditional motifs of American and European folk art with his trademark quilt and rosemaling patterns, extensive colour palette and attention to detail to create stunning, heartfelt collectibles and home décor items. The integrity of each piece is upheld by the skilled craftsmanship involved in taking Jim’s original renderings and sculpting them into three-dimensional art forms — each handmade and lovingly hand painted to ensure quality and authenticity. 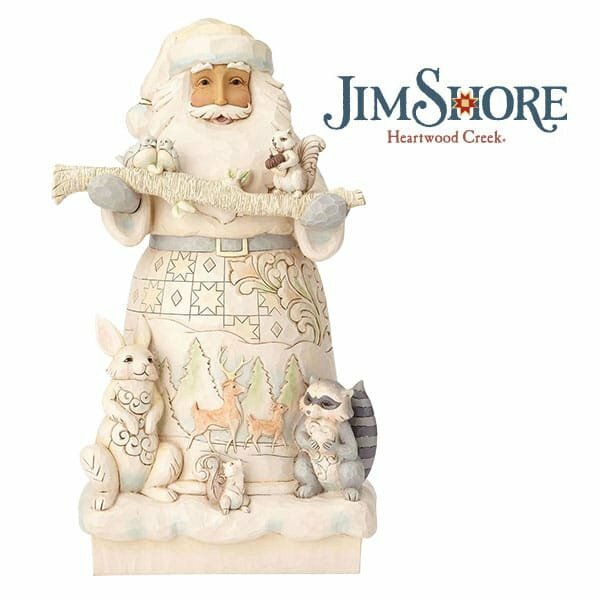 The Heartwood Creek collection has evolved from its humble beginnings of just a few Santa pieces to a collection that celebrates the seasons with an emphasis on Christmas. With figural designs of Santas, angels and animals, each has stayed true to Jim’s original inspirations of a lifelong love of quilting, combined with the rich traditions of folk art. 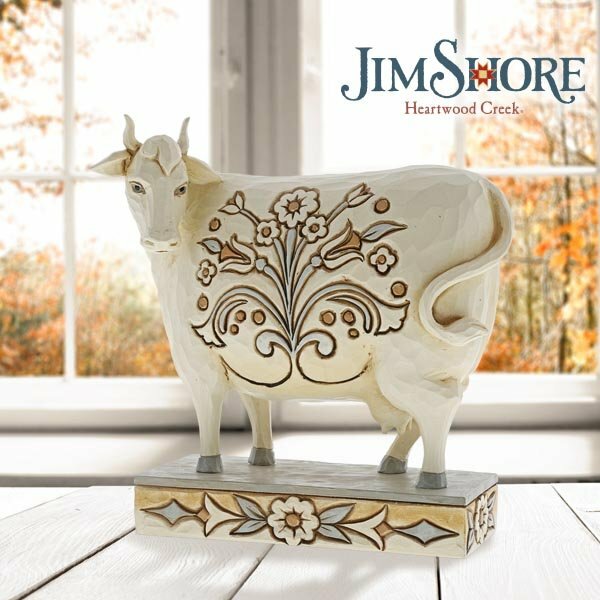 Heartwood Creek® is a registered mark of Jim Shore Designs, Inc.
New for 2019, Enesco is proud to present a number of new items into its White Woodland Collection from Heartwood Creek by Jim Shore. Following the sell-out success of the June 2018 launch, the new farm yard animals give the collection an all year-round appeal. New for the festive season, Enesco is proud to present a number of new items into its White Woodland Collections from Heartwood Creek by Jim Shore. 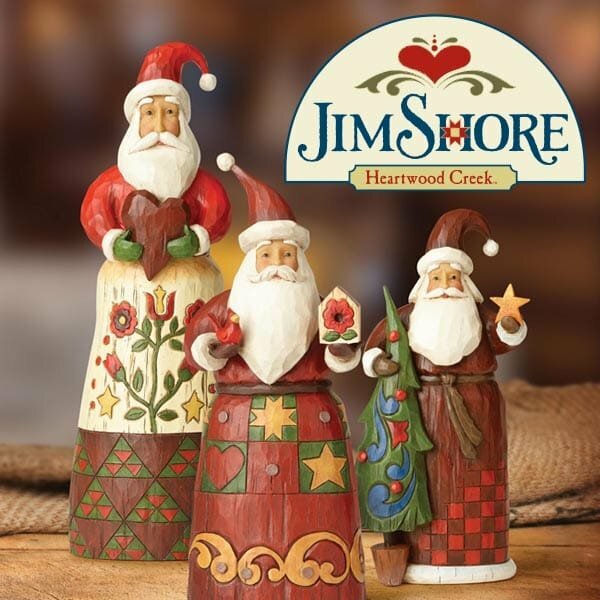 Just in time for the festive season, the award-winning creator of Heartwood Creek®, Jim Shore has unveiled a brand-new collection harking back to timeless Christmastime traditions.